Fortunately, in the past several years, courts are becoming keenly aware of how debilitating fibromyalgia can be and how the nature of the condition does not lend itself to traditional forms of “objective” evidence. See Holmstrom v. Metro. Life Ins. Co., 615 F.3d 758, 769 (7th Cir. 2010); Salomaa v. Honda Long Term Disability Plan, 642 F.3d 666 (9th Cir. 2011); Kennedy v. Lilly Extended Disability Plan, 856 F.3d 1136 (7th Cir. 2017). This week’s notable decision is a good case to add to this (hopefully) growing body of caselaw. In Kamerer v. Unum Life Ins. Co. of Am., No. 15-CV-40146, __F.Supp.3d__, 2018 WL 4539693 (D. Mass. Sept. 21, 2018), Kamerer stopped working in 2004 due, at least in part, to symptoms related to fibromyalgia. When her symptoms failed to improve, Kamerer sought treatment at the Mayo Clinic where her diagnosis of fibromyalgia was confirmed. She also received treatment for depression. Unum approved and paid her long term disability claim for nearly ten years before its medical department conducted a file review and determined that she could return to her job as a Systems Project Manager. Kamerer’s doctors provided statements in support of her claim and so Unum arranged for an in-person evaluation which ultimately came out against her. With respect to the type of proof required, the court explained that it can find that a claimant satisfies her burden of proof of disability by the totality of the evidence even if there is no objective evidence that her symptoms preclude her from fulfilling the physical requirements of her occupation. The court disagreed with Unum that there was no objective evidence where numerous doctors found that Plaintiff tested positively for many fibromyalgia tender points. There was also an overwhelming amount of subjective evidence credited by medical professionals. The court found that the Plaintiff could not perform her occupation of Systems Project Manager given her credible complaints of pain and medication side effects. With respect to the plan’s mental health limitation, the court noted that “the issue of whether it is the insured or the insurer who bears the burden of proving that a limitation does or does not apply remains unsettled.” The court found that the better approach is to shift the burden to Unum, such that it is Unum’s burden to prove that the mental illness limitation in the disability policy applies to Plaintiff’s claim. In this case, Unum has not demonstrated by the preponderance of the evidence that Plaintiff’s depression is a but-for cause of her physical disability. For these reasons, the court granted summary judgment to Kamerer and ordered her benefits to be reinstated. Johnson v. The Guardian Life Insurance Company of America, No. 3:16-CV-1141 (MPS), 2018 WL 4623025 (D. Conn. Sept. 26, 2018) (Judge Michael P. Shea). The court previously “found serious procedural defects in Guardian’s decision-making process” and “remanded the case to Guardian to properly consider all of the medical evidence, re-evaluate its disability determination, and provide a fuller explanation of its conclusions.” Based on this and the weighing of the Chambless factors, Plaintiff is entitled to attorneys’ fees and costs. The court awarded a total of $47,416.35 in fees and costs based on the hourly rate of $375 for Plaintiff’s attorney and $100 for the paralegal. Bommarito v. Nw. Mut. Life Ins. Co., No. 2:15-CV-1187 WBS DB, 2018 WL 4657243 (E.D. Cal. Sept. 26, 2018) (Judge William B. Shubb). Following the court’s grant of partial summary judgment to Northwestern Mutual, Defendant submitted a bill of costs totaling $13,541.14, to which Plaintiff objected. The court determined that Defendant was the prevailing party and it exercised its discretion to award costs. The court reduced the costs for various reasons to $7,668.05. Bekker v. Neuberger Berman Group LLC, No. 16 CV 6123-LTS-BCM, 2018 WL 4636841 (S.D.N.Y. Sept. 27, 2018) (Judge Laurataylor Swain). 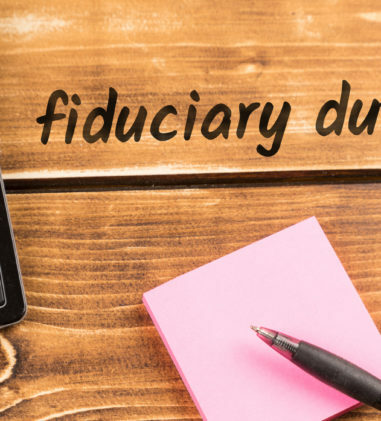 In this lawsuit alleging breach of fiduciary duty related to the maintenance of a particular investment fund, the court granted Defendants’ motion to dismiss the Complaint as against all Defendants except the Investment Committee. The court also dismissed Plaintiff’s breach of fiduciary duty claim but denied Defendants’ motion to dismiss the prohibited transaction claim. The court granted Plaintiff’s Rule 56(d) motion insofar as a brief targeted period of discovery will be allowed and denied Defendant’s summary judgment motion without prejudice to renewal after the completion of that discovery. Kamerer v. Unum Life Ins. Co. of Am., No. 15-CV-40146, __F.Supp.3d__, 2018 WL 4539693 (D. Mass. Sept. 21, 2018) (Judge Timothy S. Hillman). See Notable Decision summary above. Miller v. Sedgwick Claims Management Services, Inc., et al., No. 2:17-CV-881, 2018 WL 4610515 (S.D. Ohio Sept. 26, 2018) (Judge Kimberly A. Jolson). The court determined that “Defendants’ credibility determinations regarding Plaintiff’s pain, in light of its decision to rely on only Plaintiff’s file and the inherently subjective nature of Plaintiff’s condition, support a finding that Defendants’ process was arbitrary and capricious.” On Defendants’ demand for objective evidence, the court determined that an FCE is a proper form of objective evidence to support an inherently subjective condition like fibromyalgia. Thus, Defendants’ conclusory assertion that Plaintiff’s file lacked objective evidence supports a finding that its decision was arbitrary and capricious. Defendants also arbitrarily disregarded the opinions of Plaintiff’s treating physician and engaged in an inadequate decision-making process. The remedy, in this case, is a remand to the plan administrator. Ennis v. Aetna Life Ins. Co., No. 3:18-CV-01617-WHO, 2018 WL 4636197 (N.D. Cal. Sept. 24, 2018) (Judge William H. Orrick). The court found good cause to grant Defendants’ motion to seal the portions of their argument and supporting documents that contain Plaintiff’s personal identifiers and confidential medical and health information, which are protected by the Federal Health Insurance Portability and Accountability Act of 1996 and the California Constitution. Green v. Life Insurance Company of North America, No. 17-1383, __F.App’x__, 2018 WL 4628113 (10th Cir. Sept. 26, 2018) (Before BRISCOE, SEYMOUR, and HOLMES, Circuit Judges). The court affirmed the district court’s decision in favor of LINA. The court determined that LINA made a reasonable and good faith determination that Mr. Green had a pre-existing condition, posterior vitreous detachment, that caused or substantially contributed to his vision loss. “LINA relied on five doctors’ opinions, two of whom were Mr. Green’s own doctors, and all of whom agreed that PVD was a highly probable link to Mr. Green’s ultimate vision loss.” Plaintiff received treatment for his vision problems and the diagnosis of PVD during the look-back period. Carver et al. v. Bank of New York Mellon, et al., No. 15CV10180JPOJLC, 2018 WL 4579831 (S.D.N.Y. Sept. 25, 2018) (Magistrate Judge James L. Cott). In this putative class action alleging that Defendant breached its fiduciary duty to ERISA plans that held American Depositary Receipts for which Defendant served as a depositary, the court denied Plaintiff’s motion to compel amended responses to Request for Admissions because: (1) Defendant has denied each of the RFAs in question, and, as such, no amended responses are needed; (2) the RFAs in dispute do not conform to the requirements of Rule 36 and the case law construing the Rule because the RFAs do not seek to establish the admission of facts about which there is no real dispute; (3) many of the RFAs use terminology that is either vague, ambiguous, or at a minimum, subject to dispute given that the terms are not specifically defined; (4) at least some of the RFAs improperly seek the ratification of legal conclusions; and (5) the RFAs appear to request that Defendant simply concede essential elements rather than contest them. Bajrami v. Reliance Standard Life Ins. Co., No. 18-CV-162, __F.Supp.3d__, 2018 WL 4635714 (E.D. Pa. Sept. 27, 2018) (Judge Rufe). 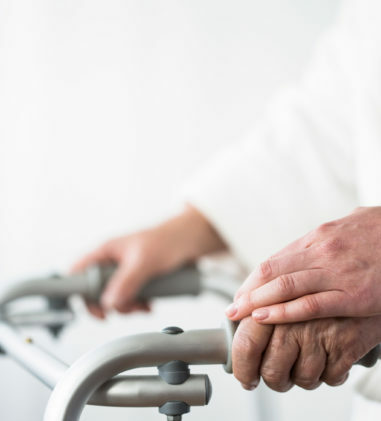 The court determined that ERISA does not govern the claim for long-term disability benefits brought by a foreign national working outside of the United States. 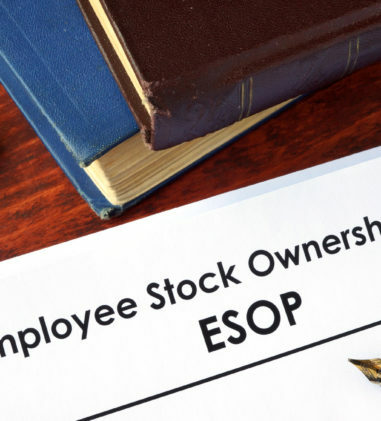 The policy was delivered in Rhode Island and governed by its laws and/or ERISA. Reliance Standard administered the plan in the U.S. But, Plaintiff was a citizen of the Republic of Kosovo, was employed in Afghanistan, and his actions related to the disability insurance occurred outside of the United States. Absent Congress’s clear manifestation to legislate extraterritorially, the court must presume ERISA is primarily concerned with domestic conditions. Court granted Plaintiff’s motion to remand to state court. Tellep v. Oxford Health Plans, et al., No. CV 18-392-BRM-TJB, 2018 WL 4590000 (D.N.J. Sept. 25, 2018) (Judge Brian R. Martinotti). Plaintiff, a self-employed working owner of his business who purchased a health insurance plan from Defendants, brought a number of state law claims against Defendants for ceasing coverage of the brand-name medication which he alleges caused his uncontrolled breakthrough seizures. The court found these claims preempted by ERISA because his health insurance plan is an ERISA plan. As a working owner of his business, Plaintiff qualifies as a “participant” under ERISA. Glastein, M.D. v. Aetna, Inc., Aetna Insurance Company, No. CV 18-9262, 2018 WL 45624672 (D.N.J. Sept. 24, 2018) (Judge Anne E. Thompson). 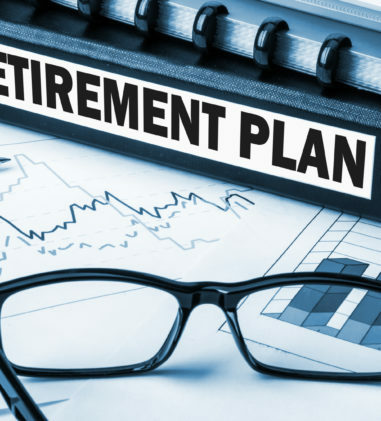 The court determined that the state laws at issue here—breach of contract, promissory estoppel, account stated, and fraudulent inducement—neither “refer to” nor have an “impermissible connection with” an ERISA plan. Thus, Section 514(a) of ERISA does not preempt Plaintiff’s state law claims and the court denied Defendant’s motion to dismiss. House v. Umum Life Ins. Co. of Am., No. 1:17-CV-220, 2018 WL 4604019 (E.D. Tenn. Sept. 25, 2018) (Judge Harry S. Mattice, Jr.). 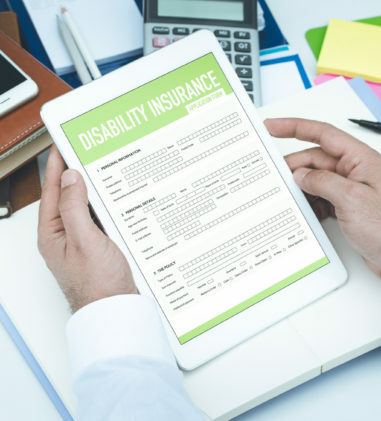 Plaintiff was receiving long term disability benefits when Unum exercised its discretion to request that she undergo an independent medical exam (“IME”) to determine if she continued to be disabled under the policy. Plaintiff attended the exam with a friend who intended to monitor and videotape the exam. 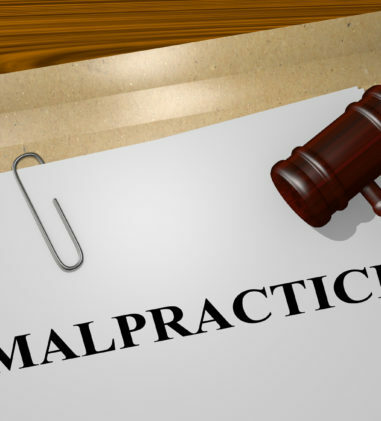 The doctor refused to allow her friend to attend and Plaintiff declined to undergo the exam. Plaintiff filed a lawsuit asserting a right under the policy to videotape the IME and to have a witness present. Rather than decide the issue of her contractual right under the policy to have her IME videotaped, the court determined that Plaintiff was required to exhaust her administrative remedies and failed to do so. She also failed to establish that exhaustion would be futile. The court explained that Unum may not have discontinued her LTD benefits for refusing to attend the IME and there are a number of possible outcomes had Plaintiff pursued her internal remedies. The court granted Unum’s motion for summary judgment and dismissed the case without prejudice. Goggins v. Huntington Ingalls Industries, No. 1:18CV23-LG-RHW, 2018 WL 4572671 (S.D. Miss. Sept. 24, 2018) (Judge Louis Guirola, Jr.). 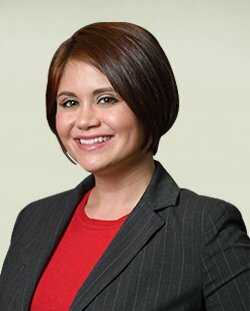 The deceased’s alleged common-law wife does not have standing to pursue her case because she has not submitted any evidence or testimony indicating that she was designated as a beneficiary; rather, the administrative record indicates that the insured designated his sons as beneficiaries. The lawsuit is dismissed for lack of jurisdiction. Christopoulos v. Trout et al., No. 15 CV 3466, 2018 WL 4563050 (N.D. Ill. Sept. 24, 2018) (Judge Joan B. Gottschall). 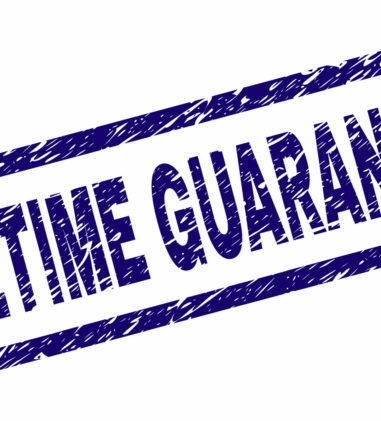 The court determined that a nunc pro tunc Qualified Domestic Relations Order must be enforced and the insured’s named beneficiaries are not entitled to the life insurance proceeds. It is of no moment that the final judgment dissolving the marriage was not entered before the insured’s death. The equitable defense of laches does not apply to minors so the court denied the beneficiaries’ request to conduct discovery on this defense. Shah, M.D. v. Horizon Blue Cross Blue Shield of New Jersey, No. CV 17-1574, 2018 WL 4629515 (D.N.J. Sept. 27, 2018) (Judge Joseph H. Rodriguez). 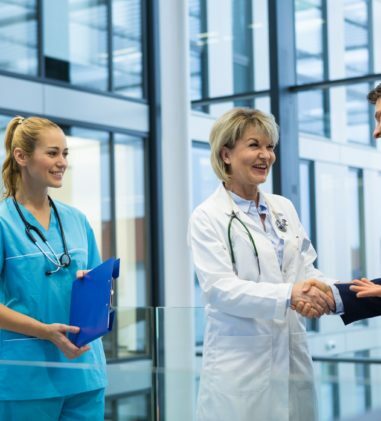 The court granted summary judgment to Blue Cross, where the plan in question provides that “reimbursable allowances are calculated based on 250% of the value that Medicare would pay for the same service” and that is the amount Defendant paid Plaintiff. Ojeda-Resto v. Blankenship, et al., No. CV 17-1978 (GAG), 2018 WL 4657191 (D.P.R. Sept. 26, 2018) (Judge Gustavo A. Gelpi). “Plaintiffs’ Amended Complaint alleges that Defendant’s violated the duty of prudence and loyalty required under ERISA. Specifically, they make five distinct allegations. Succinctly stated the allegations are as follows; (1) that the Welfare Fund has been operated and managed in “total obscurity,” and that Defendants have “refused to provide participants with copies of the full annual financial reports,” (2) Defendants have modified plan eligibility requirements without notifying participants, (3) that “unauthorized and/or illegal disbursements” have been made, (4) the purchase of health benefits to individuals who are ineligible, and (5) excessive administrative expenses and payments that Defendants “have made and/or contemplate to make,” all actions which Plaintiffs contend depleted the Welfare Fund. While this may satisfy Article III constitutional standing requirements, Plaintiffs’ allegations, taken as true, are insufficient to establish proximate cause. Plaintiffs’ Amended Complaint lacks sufficient factual basis for all five alleged violations.” (internal citations omitted). Children’s Hosp. Med. Ctr. of Akron v. Youngstown Assocs. in Radiology, Inc. Welfare Plan, No. 4:11CV506, 2018 WL 4539282 (N.D. Ohio Sept. 21, 2018) (Judge Benita Y. Pearson). The court determined that Plaintiff Children’s Hospital Medical Center of Akron has no standing to challenge the administrator’s decision to deny insurance coverage for treatment B.W., a minor child, received for leukemia. The health policy has a valid anti-assignment clause. IHC Health Services, Inc. v. Calfrac Well Services Corporation, No. 2:16-CV-1028, 2018 WL 4621761 (D. Utah Sept. 26, 2018) (Judge Jill N. Parrish). The court concluded “that IHC is a valid assignee of any benefits due to T.Q. by the Plan, and thus has standing to challenge a denial of such benefits under § 1132(a)(1)(B).” The court found that Calfrac’s denial of benefits was arbitrary and capricious for failing to offer any rationale why the plan’s emergency care provision did not excuse T.Q.’s failure to obtain prior authorization. The court found that the proper remedy is a remand to Calfrac to interpret the post-emergency care provision in this case. The court awarded attorneys’ fees to the plaintiff provider. Smith v. Liberty Life Assurance Company of Boston, No. 17-CV-01794-PAB-GPG, 2018 WL 4635983 (D. Colo. Sept. 27, 2018) (Judge Philip A. Brimmer). In this dispute over long term disability benefits, the court dismissed “certain forms of relief that plaintiff is claiming, including pre-litigation attorney’s fees and damages for emotional pain and suffering. Plaintiff argues that the pre-litigation fees and non-economic harms that she has incurred as a result of defendant’s conduct are injuries that cannot be remedied by a denial-of-benefits claim under § 1132(a)(1)(B).” The court explained that the remedies the plaintiff is seeking is not available under ERISA. The Tenth Circuit has indicated that § 1132 does not permit recovery of non-economic damages. Stacy S. v. The Boeing Company Employee Health Benefit Plan, No. 1:15-CV-72, 2018 WL 4600652 (D. Utah Sept. 25, 2018) (Judge Robert J. Shelby). 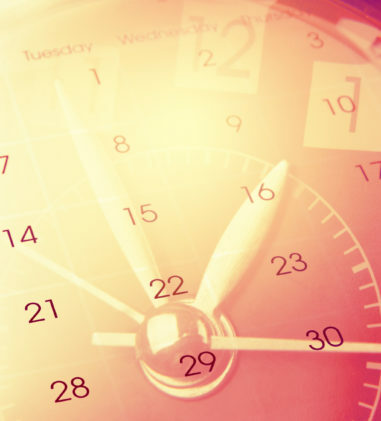 The court determined that final benefit determinations must notify the claimant of the time limit to file an action in district court. The remedy for the failure to do so prevents the plan administrator from enforcing the Plan’s contractual time limits for judicial review. 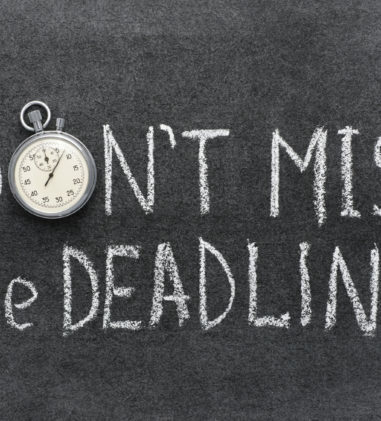 Instead, the court will apply the most analogous statute of limitations for an ERISA plan, which in this case is Utah’s six-year statute of limitations for breach of contract actions. Ennis v. Aetna Life Ins. Co., No. 3:18-CV-01617-WHO, 2018 WL 4636197 (N.D. Cal. Sept. 24, 2018) (Judge William H. Orrick). In this dispute over long-term disability benefits, Defendants moved to transfer venue to the Northern District of Georgia under section 1404(a). It is undisputed that venue is proper in N.D. Cal. In weighing the convenience factors and considering the interests of justice, the court denied Defendants’ motion. Since judicial review is limited to the administrative record, convenience to witnesses and ease of access to evidence are neutral factors. While Georgia’s interest in the case is slightly greater than California’s (since Plaintiff is a resident of Georgia), it does not overcome the Plaintiff’s choice of forum.